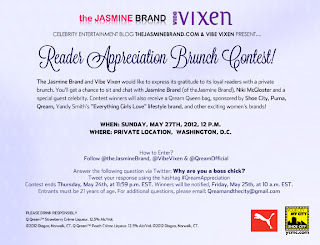 theJasmineBRAND.com & VIBE Vixen Present: "Reader Appreciation Brunch Contest" Sun, May 27th!! Are you located in the DMV area? Are you a BOSS CHICK? 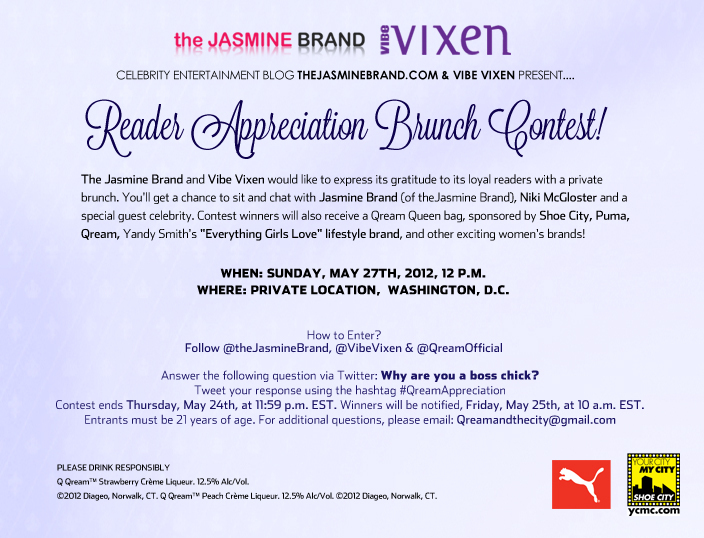 Follow the directions above and maybe you will be selected to have brunch with Celebrity Blogger Jasmine of theJasmineBRAND.com & with VIBE Vixen! BIG THANK YOU to Qream, Shoe City & Puma!